You are here: Home / Celebrity Events / Shayna Leigh Premieres New Single “Wake Me When It’s Christmas” With Buzznet! 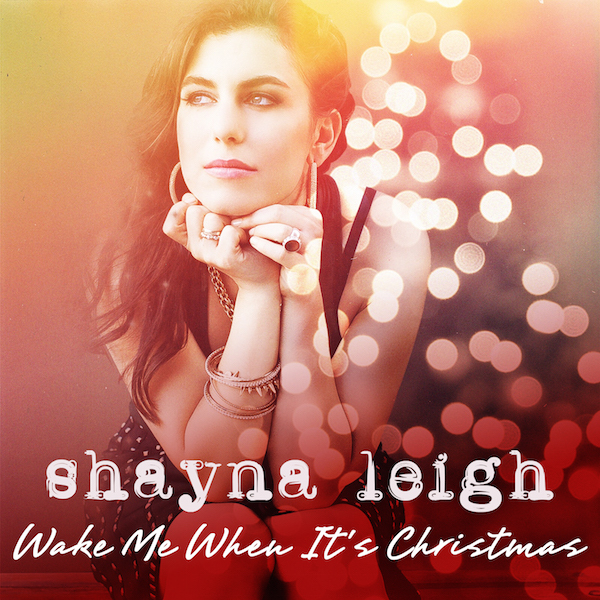 Shayna Leigh Premieres New Single “Wake Me When It’s Christmas” With Buzznet! New York City-based singer/songwriter, Shayna Leigh, has been on a roll since the release of her well received second EP, ‘Hey Shayna Leigh,’ on September 9th. The independent artist dominated the charts, reaching #118 on iTunes Pop Albums Chart, #2 on Amazon’s Singer/Songwriter Chart, and #3 on Amazon’s Hottest New Releases Chart! Shayna has worked on the songs with noted songwriter Peter Zizzo (Celine Dion, Elizabeth Gillies), Grammy winning producer Michael Mangini, and Steely Dan’s Gary Katz. Recently Shayna teamed up once again with Peter Zizzo and Michael Magini to pen an original holiday tune entitled “Wake Me When It’s Christmas.” Shayna has partnered with Buzznet for the exclusive world premiere of “Wake Me When It’s Christmas,” which fans will likely be hearing on radio and in various retail outlets this holiday season. You can listen to it here: http://bzzn.net/1zfodTa. You can also make your online purchase of Shayna’s holiday single either on iTunes or Amazon. But that’s not the only amazing thing happening right now. Shayna Leigh will also be joining 90’s rock band Sister Hazel on their upcoming “20 Stages” live album release tour! Shayna will be joining the Platinum and Gold certified band best known for their smash hit single, “All For You”, on select tour dates this winter, which you can check below. Shayna shared her excitement in hitting the road with Sister Hazel in a special announcement video for fans. Miss it? You can check it out below, followed by the Sister Hazel tour dates! Dec 03 – Philadelphia, PA – World Cafe Live! « Jordan JAE Covers Ariana Grande’s “My Everything” — Watch!